Jackdaw (Coloeus monedula), is a passerine bird in the crow family. Found across Europe, western Asia and North Africa, it is mostly sedentary, although northern and eastern populations migrate south in winter. Jackdaw eyes are very unusual. 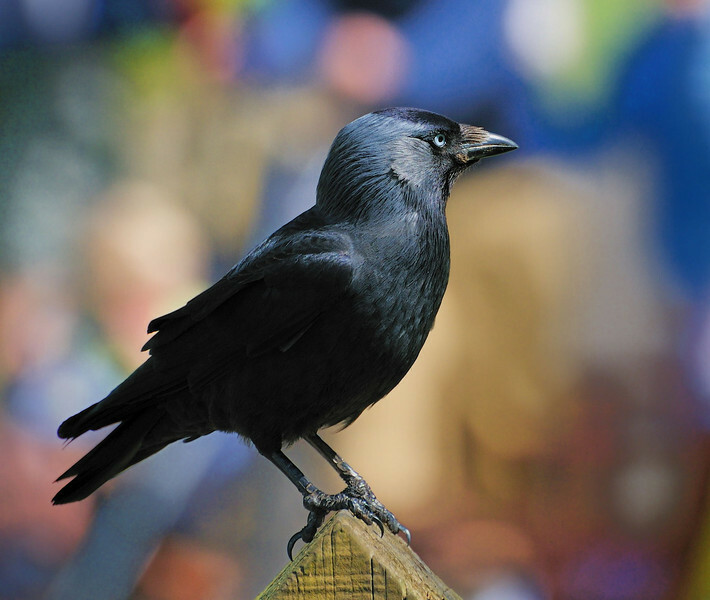 Unlike their close relatives, the rooks and crows – which have very dark eyes – jackdaw eyes are almost white or silver and their striking pale irises are very conspicuous against their dark feathers. Recent research from Cambridge shows that jackdaw eyes are used as a warning signal successfully to deter competitors from coming near their nesting places.